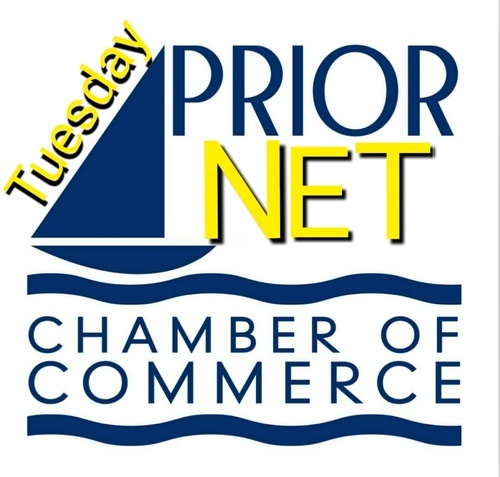 In 2018, Prior Lake Chamber will have TWO networking weekly group which will be named PriorNetTuesday and PriorNetThursday. PriorNet is a business networking group in the Prior Lake Area that helps business people increase their revenues through effective referral marketing. Overall, the PriorNet is more informal than other business networking groups in the area. If you primarily sell “X” (type of category) and we already have a member whose primary focus is selling “X”, you would not be able to join under that category, but we could be creative and hope to find a category that is suitable for your business. PriorNet does not have any formal attendance requirements. We understand that scheduling conflicts occur, as well as illness, family emergencies, etc. However, your attendance is a reflection of your character and integrity. Additionally, it is very difficult to give you referrals and discuss the background behind that referral with you if you are not present. So, we encourage you to attend our meetings regularly and inform us if you will not be able to attend. If you decide to stop the group because of conflict of scheduling, please give a written notice to President of the Chamber (Sandi) and it will be brought back to the group to accept the resignation, therefore an opening will become available in your category. No refunds will be offered. PriorNet members will also have the opportunity to volunteer at upcoming local events. These volunteer opportunities will be brought up and voted as a group during the regular meetings. This volunteer opportunity will be encouraged but not mandatory, any fees relating to this volunteer experience is based solely on the person involved. In consideration of being allowed to participate in the event, I hereby personally assume all risks in connection with the event and I hereby agree to hold the Prior Lake Chamber, their officials, employees, agents, members, and sponsors harmless and I waive any right to make claims or bring lawsuits against the Chamber, its members, or anyone working on behalf of the Chamber or their members for any injuries or damages related to the alleged negligence of the Chamber or sponsor. PriorNetTuesday and PriorNetThursday will meet socially quarterly to network among themselves, times and locations will be scheduled. If you are interested in joining one of our groups, all that is required to join is simply filling out the attached form. PriorNetTuesday will meet every Tuesday promptly at 7:30 am and meetings will last one hour, it will begin meeting at the Chamber office at 4785 Dakota Street SE, Prior Lake. PriorNetThursday will meet every Thursday promptly at noon and meetings will last one hour, it will begin meeting at the City Hall, Parkview Room, 4646 Dakota Street SE, Prior Lake. PriorNet does not have “if you miss x number of meetings, you forfeit your seat” rule. Members do not have to achieve a quota of referrals given to other members. However, as in any successful business networking group, we have some general guidelines members are expected to follow. Our goal is for you to make three out of four meetings. Due to high demand of certain categories to be included in PriorNet, we could ask you to submit a resignation if you miss several weekly meetings. Our mission is to build stable long-standing relationships within the group based upon credibility and trust. These relationships leverage each member’s expertise to share information during our meetings, which presents the opportunity to make business referrals. Attendance: It is expected that regular attendance is necessary to develop the relationships within PriorNet. A commitment to regular attendance should be made, the goal is three out of four meetings. This networking group should be a priority. PriorNetTuesday will meet every Tuesday promptly at 7:30 am and meetings will last up to one hour, it will begin meeting at the Chamber office at 4785 Dakota Street SE, Prior Lake. PriorNetThursday will meet every Thursday promptly at noon and meetings will last up to one hour, it will begin meeting at the City Hall, Parkview Room at 4646 Dakota Street SE, Prior Lake. There will only be one representative allowed per profession/industry. Each member will do a 60 second commercial at each meeting and will plan to do a ten minute presentation periodically that educates other members in more detail about the services and products offered by their company or business, and to let the group know the best way referrals can be provided. There is no requirement or quota for leads and referrals, but, as a member, we will try to refer prospects or customers that I encounter to the products and services offered by members in PriorNet. Leads and referrals should be passed along during the week should be reported to the group. We ask that you/your business is in good standing with the Prior Lake Chamber and $25 be submitted at time of application on a yearly basis in January. There will be no pro-rated fee the cost to join is $25 and will be only good until December of that year. PriorNet is a business networking group in Prior Lake Chamber. It is a diverse, non-competing membership group with one member representing each career field. A Facebook Closed Group Page will be created for each networking group and all attendees will be invited to join.